Yamaha X-Max 125. 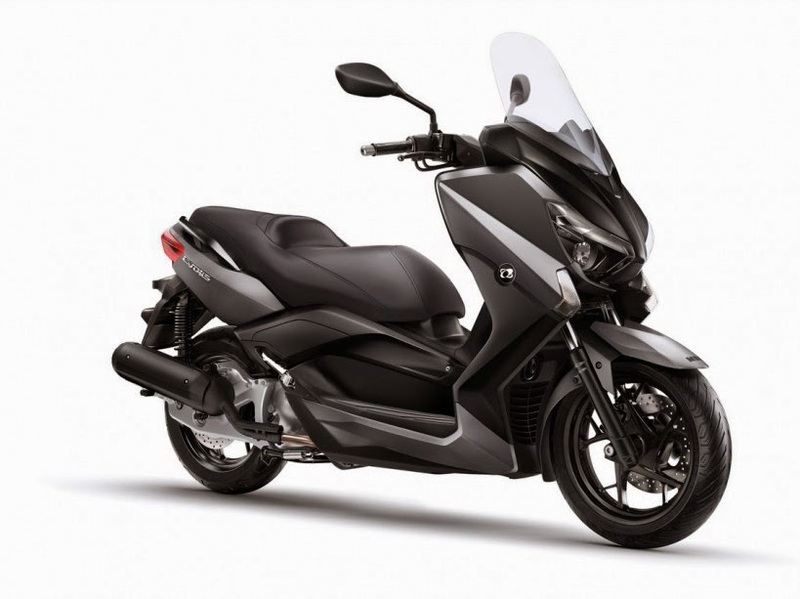 In recent weeks, it is not easy to distinguish the Yamaha X-Max 125 and 250, the X-Max 400. Indeed, the first two recently resumed the front of the latter. We thus find a new perspective in the light most determined, flashing dating back to the end of the fairing and black bib at the base of the windshield. It is now more protective but remains perfectible as too low and not wide enough. The deflectors spare fingers a little bad weather. On the flanks, the famous boomerang is no longer an aluminum but simply black. This totally changes is back, more slender finished well by bulky prominent diodes that incorporate flashing lights. Note also the rims to finer sticks as some sport bikes. Enhances the saddle is red stitching and backsplash driver is reviewed to maintain without pressing. The shape of the saddle changes little. If you are too short legs to put your feet flat stopped staying at the bottom of the seat, it will certainly always the case. The dashboard is now completely digital. The large screen on the left displays the tachometer and speed perfectly legible, and the fuel gauge, unfortunately not much more accurate than before. One on the right is divided into three distinct zones. Above, the time is now permanently displayed. The tripmeter are located in the middle. You can scroll through them with the "trips" button at the right handlebar. The "info" button allows it to display the battery voltage, fuel consumption, ambient temperature or the average speed. No need to let go of the handlebars is very convenient. However, it regrets the lack of 12V series in both pockets of the deck. Under the seat, the trunk can accommodate 2 full face helmets, one behind and one in front, but it is still in two parts which do not necessarily easy to carrying a large bag. 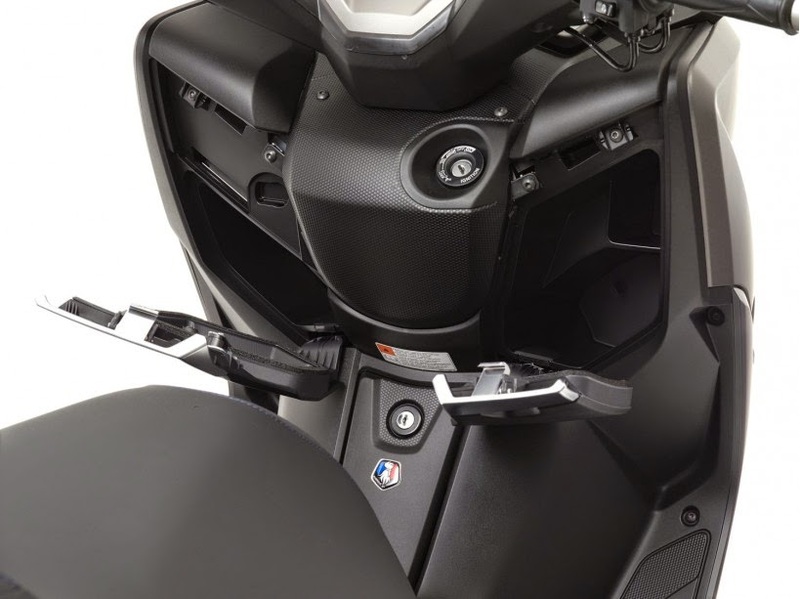 The handlebars, there is happily single cylinder dynamic and very greedy we knew the previous generation. Startups are lively and compelling reminders. Driving always appear agile, easy, secure. 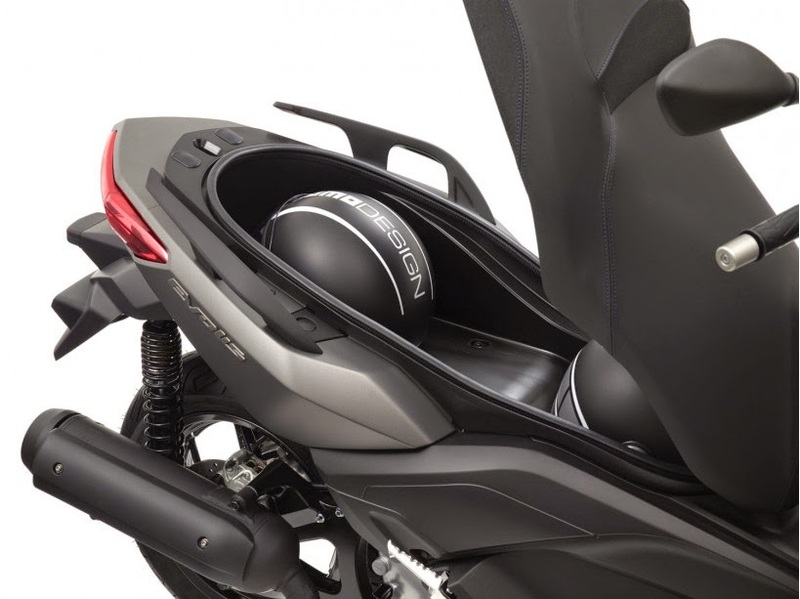 For 2014, Yamaha changed the damper setting to gain comfort. This is particularly noticeable on the pavement in the city, where the suspension tape less than the previous settings. The X-Max and tends to approach the best scooter category. As for the brakes, Yamaha has chosen to put the drive front left wheel for better balance. In fact, the bite is always the rendezvous and ABS but unobtrusive even on hard braking. It is possible to do without this equipment, however, recommended for security in the city. In the end, the new X-Max 125 and 250, and their twins at MBK Evolis, so change quite dramatically. 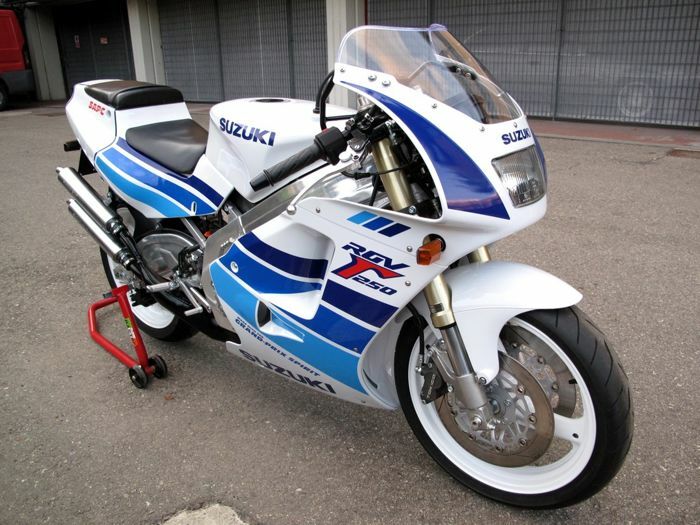 All Yamaha as MBK, are produced in the Saint Quentin in the Aisne. While the engine and chassis do not evolve, they always refer to the category. The upgrading of the X-Max in the wake of 400, resulting in a richer equipment and more dynamic design, seems successful. Despite some minor shortcomings, the success should continue. 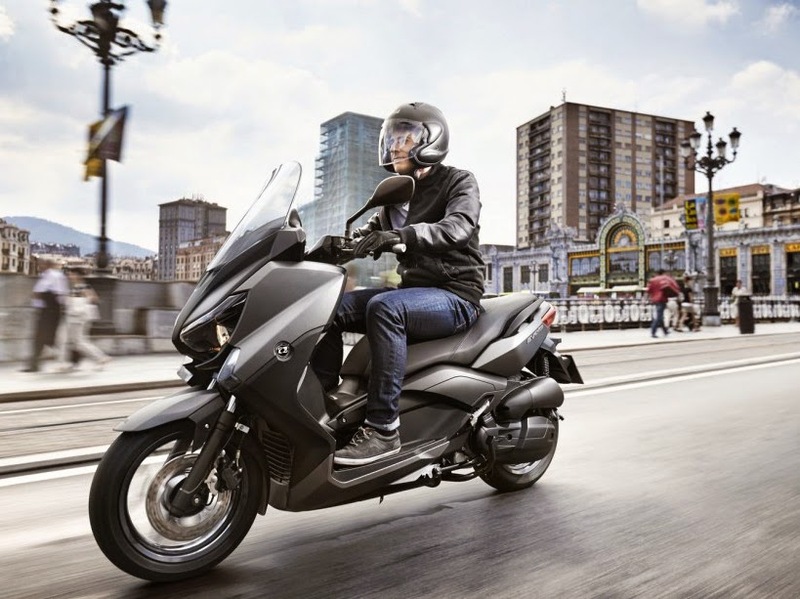 Its rate of € 4,399 square facing the Piaggio X10 125 Sport, from € 4,299 or a Satelis Peugeot 125 from € 3,999, but at retirement.